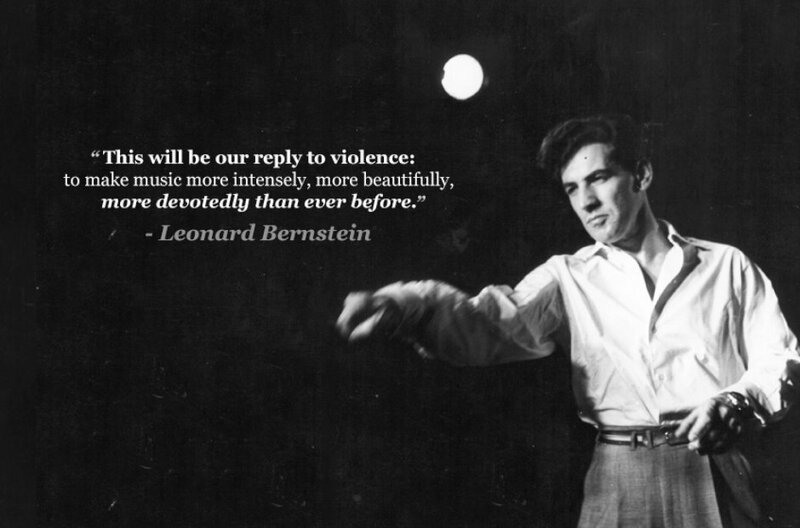 He was just as good with words as he was with the baton - here are some of Leonard Bernstein's finest musings on music, politics, life and art. "I'm not interested in having an orchestra sound like itself. I want it to sound like the composer." "Music can name the unnameable and communicate the unknowable." "Why do so many of us try to explain the beauty of music, thus depriving it of its mystery?" "If you're a good composer, you steal good steals." "Technique is communication: the two words are synonymous in conductors." "The 20th century has been a badly written drama, from the beginning." "In the olden days, everybody sang. You were expected to sing as well as talk. It was a mark of the cultured man to sing." "A liberal is a man or a woman or a child who looks forward to a better day, a more tranquil night, and a bright, infinite future." "If I don't become Brahms or Tchaikovsky or Stravinsky when I'm conducting their works, then it won't be a great performance." "I can't live one day without hearing music, playing it, studying it, or thinking about it."